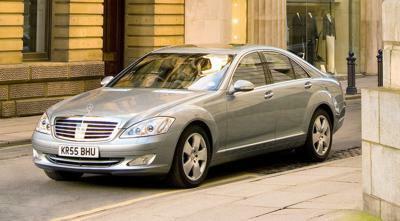 London March 19, 2007; The Mercedes-Benz S-Class range has been voted Fleet News Luxury Car of the Year 2007 – the fifth time the magazine has bestowed its honour on the saloon. The Fleet News award follows S-Class winning its category in the recent What Car? Awards for the seventh time. Kevin West, National Sales Manager Mercedes Car Group added: “This important accolade proves that S-Class is uniquely popular with all types of customer whether private or corporate. It is unique in offering the very best technology and state-of-the-art engines in a perennially-desirable product. As well as being lauded by magazines, S-Class was the first car in the world, back in 2005, to be awarded an environmental certificate by Germany’s influential TÜV institute. The S-Class’s construction, materials, recyclability and class-leading performance all helped the luxury saloon win the landmark award. Add to that, S-Class was the first car to introduce a raft of safety equipment and innovations (three-point seat belts; anti-lock brakes; airbags; satellite navigation; ESP® Electronic Stability Program; first luxury diesel car in the UK; PRE-SAFE® preventative occupant protection system; NightView infra-red night vision; autonomous braking). All these features have helped make it the world’s most popular luxury saloon. With its latest award, the Mercedes-Benz S-Class has once again proven to be the definitive luxury choice for discerning motorists. The S-Class range starts from £54,215 on the road.